Over 200 pictures of the Winter Harajuku Kawaii event in Tokyo featuring cute Japanese fashion shows, famous Harajuku models in kimono, and a live performance by Kyary Pamyu Pamyu. Cute college students in matching berets, overalls, toggle coats and cowl scarves. 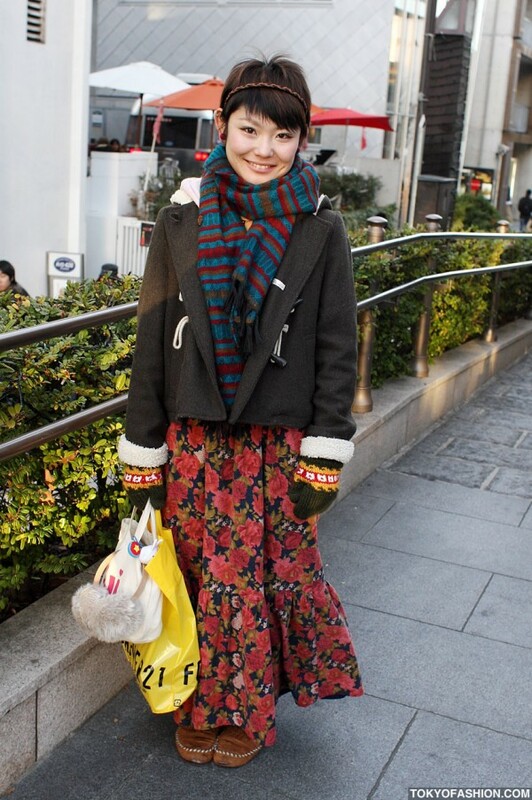 Japanese girl with short blonde hair in ruffled denim dress and handmade crochet scarf. 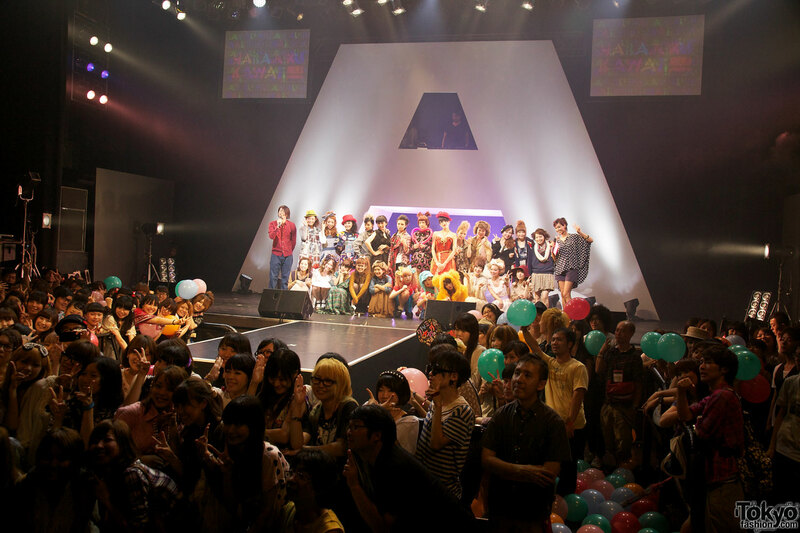 AsobiSystem 4th Anniversary Party pictures with kawaii Japanese fashion shows, Kyary Pamyu Pamyu’s live debut, Yasumasa Yonehara, and Capsule featuring Yasutaka Nakata. 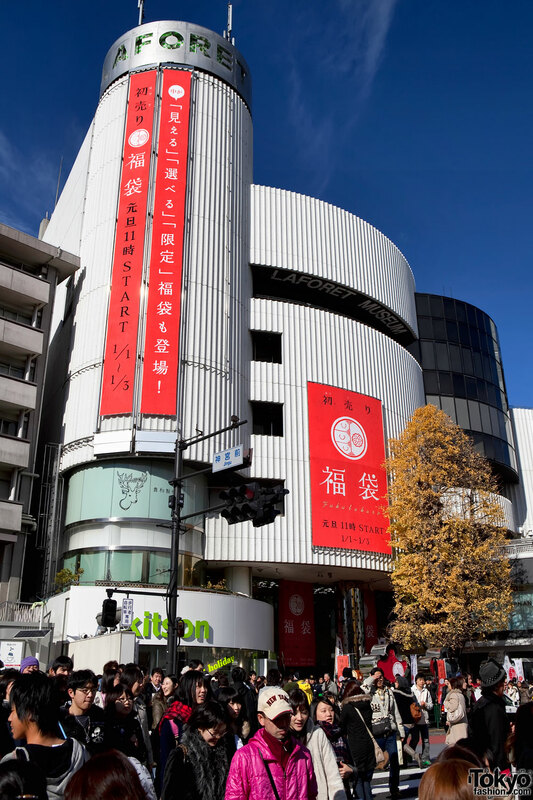 Pictures of the 2011 New Year’s sales and Lucky Bag shopping frenzy in Harajuku – including LaForet, Cat Street, Meiji Dori, and much more. 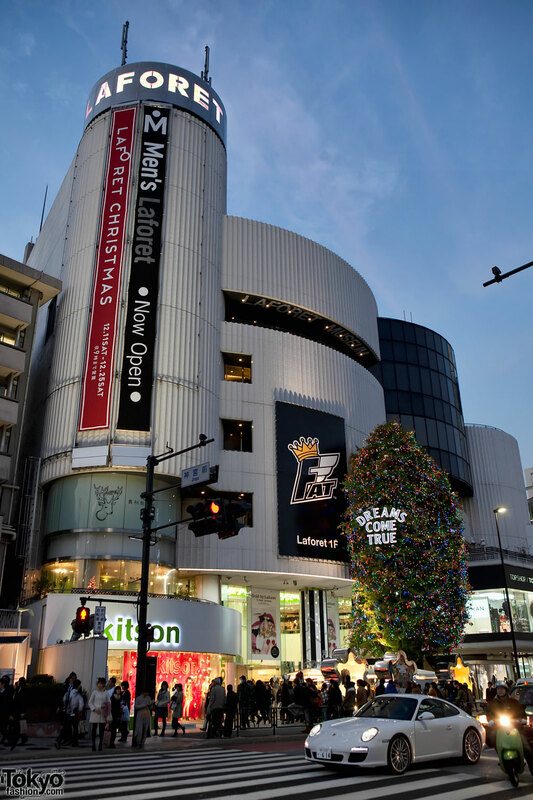 100 photos of the Harajuku area at Christmas time – including Takeshita Dori, LaForet Harajuku, and the decorated shops along Meiji Dori. A report with lots of pictures from the 2010 A/W edition of Tokyo Girls Collection – a Japanese “real clothes” fashion show like no other. Two Japanese girls wearing hats – one in a duffle coat and the other in a military-style jacket – on the street in Harajuku.